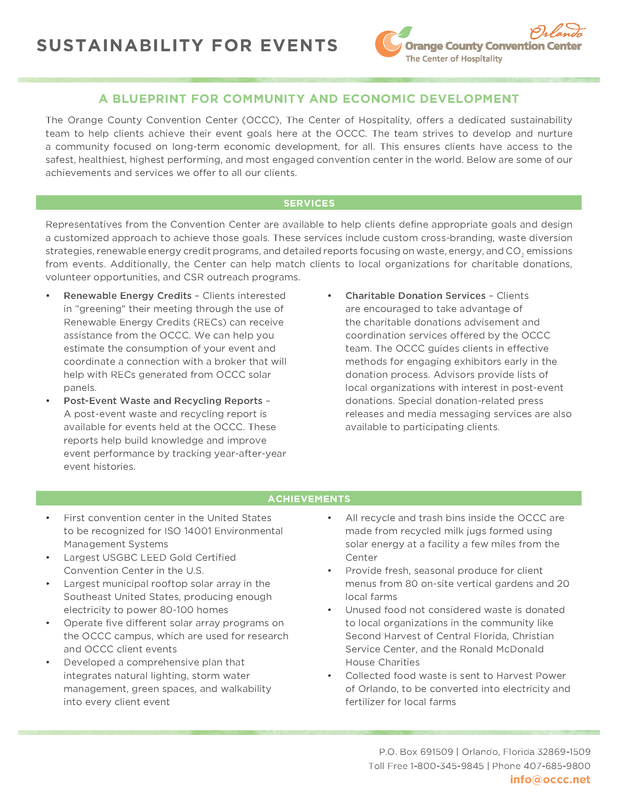 The Orange County Convention Center is the second largest convention center in the nation and the largest LEED Gold certified convention center in the world. The Center of Hospitality offers several unique services to our clients, exhibitors and attendees focused on saving energy, time and money. 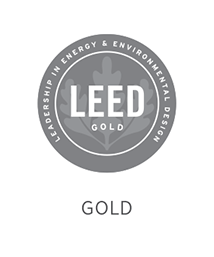 We were the first convention center in the United States to have its Environmental Management System ISO certified and the third to receive the APEX/ASTM certification. It is an honor to receive these recognitions and we are proud to offer customized green meeting services for our clients. To learn more, contact our sustainability section at 407-685-5689. For media inquiries, contact 407-685-5796. Waste diversion is essential in the cleaning up process in events. There are several steps that you can take to help make our campus greener. Recycling collection bins in all meeting and event areas. Items collected are mixed paper and co-mingled recycling aluminum, plastic and glass. Delicious vegetables grown at our Center-to-Table Gardens provide attendees the freshest, chemical-free food available. We offer customized reports detailing event waste, energy and other sustainability metrics that can help provide strategies for clients' future events. Five different solar energy programs contribute to the convention center's renewable energy efforts. Generating over 1.5 million GWh every year, approximately 100 Florida homes worth of electricity for a year. Clients have the opportunity to take demonstration tours, training and tastings in all areas of our sustainability efforts. Show managers are able to coordinate the donation of leftover food, building materials, school supplies, furniture, etc. to area organizations and charities.